When we hear the phrase “Viva la Revolución!” our thoughts turn to Che Guevara and Cuba, to socialism, the economic embargo, and the political tug o’ war. But we also think of hand-rolled cigars, local rum, and bars in which Cubans dance salsa, rumba, and mambo. And of an exuberant and joyous attitude to life, one that gives no hint of the problems great and small that face the people who live there. Addys Mercedes was born into this difficult world in 1973. She grew up in a small village not far from Guantánamo, sharing a house thatched with palm fronds (but without electricity) with her siblings, her mother, and her grandmother. They had a fruit and vegetable garden, and a few animals in a shed. This was where her desire to become a singer, dancer, and actress was born. If she had seen Fidel Castro on State television, and listened to his speeches, she might have given up the idea, because it would have seemed completely utopian to a girl living in impoverished circumstances. But the family had no television set. When we look back on her career, we see that the phrase “Viva la Revolución!” applies to her too, because her achievements have been truly revolutionary. She is a musician who composes and writes her own texts, which is unique in Cuba. In Cuban bands, it’s the bandleader who puts the repertoire together, a repertoire of songs to thrill whichever audience it’s playing to. In Cuba, a show has to be spectacular. A ballad needs plenty of pathos, and dance music has to be endlessly intoxicating. The band leader and every member of the band has to undergo regular assessment by a State commission. Following this assessment, the musicians’ rating determines how much they will earn each month, and the type of engagement offered to them. Addys, too, was examined in this way, and found to be “worthy” of singing with a professional band. After finishing her training in 1992, she played with the band “Spectrum” at the tourist center where she met her husband-to-be. He was a German, 20 years her senior; his blond hair made him seem totally exotic to her. After they were married, Addys flew to Germany and settled in Gelsenkirchen in late 1993. She took a crash course in German, but it was above all through her work in her husband’s kiosk near the Schalke Arena that she learned the language by talking to his customers, particularly to the elderly ladies who always had time for a chat. Television advertising was a good teacher too. Addys has an inexhaustible repertoire of TV advertising jingles from the 1990s; she always sang along with them in order to improve her accent. Her love of music led Addys to join her husband and his brother in playing and singing with a band that was not quite so good musically as the bands Addys had known in Cuba, but at least she was making music again. The better she learned to speak German, the more the cultural and personal differences between herself and her husband became apparent. When a Cuban singer she knew invited her to sing in a better salsa band, her husband threatened her with divorce. Not wanting to jeopardize her marriage, she refused the offer. But the time came when she had to make a decision, so she began renting her own apartment in Gelsenkirchen, and divorced her husband. In 1998, she met her present partner, Cae Davis, and started to sing with his band, which was made up of good musicians, as good as those she had been used to in Cuba. As neither of them wanted to go on performing cover songs, they began writing their own works. In 1999, they flew to Cuba to record the first songs for their debut album “Mundo Nuevo“ together with some musician friends of theirs. Cae got to know her family, and spent a visit that was full of contrasts. As a foreigner, he was forbidden in those days to use public transport, and Addys was not allowed into international hotels and tourist centers. They both had to rely constantly on help from fearless Cubans, and also needed their help when recording songs. At one time, their passports were taken off them, but were returned to them the next day with apologies, as a result of intervention by the German Embassy. However, nothing ventured, nothing gained. So they returned to Cuba in the following fall, and recorded the rest of the numbers in the album with a live band. In 2000, their daughter Lia was born at their home in Düsseldorf. Lia is now an established member of the family band, and audiences enthuse over her violin playing. As a first-time mother, Addys faced contrasting attitudes to motherhood in Cuba and in Germany. In Cuba, it is normal for a mother to take on sole responsibility for her children, and to be the decision maker. Fathers come and go, but often they go, and then don’t come back, as Addys knew from her own childhood. In her relationship with Cae, she learned that it doesn’t have to be like that. In 2001, “Mundo Nuevo” (new world) came out, and critics were full of praise. In the following year, Addys performed in more than 100 concerts in 16 countries, joining up with such legendary artists as Ringo Starr, Eric Clapton and Bob Geldof. For the first time, it was her own songs that she performed, and it became clear that her eight years in Germany had also changed the way she viewed her own past. In “Nomad” (2003), they experimented with mixing elements of electronic and Cuban music, in order to create a sound of their own. However, the family was exhausted by extensive tours and all that is involved in touring, so they decided to take some time off on Tenerife. For the first time, Addys went to an opera singer for singing lessons, in order to open up her voice in new ways. She started playing bass, while Lia discovered her love of the violin. It turned out that Lia has an outstanding gift for the instrument, so she was enrolled at the conservatoire, and participated in the island’s scheme for gifted young musicians. The family returned to Germany in 2008, and set up their new home in Essen, in the Ruhr District. As Lia was bilingual and a remarkably gifted student, she entered high school aged only eight, two years earlier than usual. They toured Cuba with these songs for one month, giving spontaneous concerts. Friends, former musician colleagues, and relatives all heard Addys sing for the first time in more than twenty years. This time her songs weren’t well-known classics, but her own compositions. Emotions ran high, and tears flowed freely. For the first time, inquisitive Cuban journalists turned up too. They were thrilled, and loved the songs, finding them different, but not unfamiliar. They were played on the radio, and Addys gave interviews. The State-appointed “guardians of culture” from the Instituto de la Música didn’t like this at all. They reminded her that she needed a permit to perform, which is a typical reaction from a centralistic organization that wants to control the culture of a country right down to the finest detail. 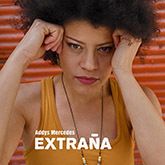 For the most part, Addys’s art is hushed up in Cuba, even nowadays, but enthusiastic Europeans are flocking to her concerts in ever greater numbers. Addys takes things as they come, waiting for a situation to arise before making any decision. She doesn’t like planning far ahead. Her family is the most important thing to her, both professionally and in private life. Her audiences are fascinated by her stories and the way she tells them. She is now telling them in the most prestigious concert halls, like the Alte Oper in Frankfurt, the Philharmonie in Essen, or the Theater am Aegi in Hanover. She has made a career for herself that is truly revolutionary for a woman musician from Cuba.